Data shows that local theaters have sold a combined 210 million tickets, meaning that 2013 has been an unequivocal success for Korean cinema. But while numbers may not lie, they rarely tell the whole story. This year’s growth in ticket sales have been driven by Korean films such as “Miracle in Cell No. 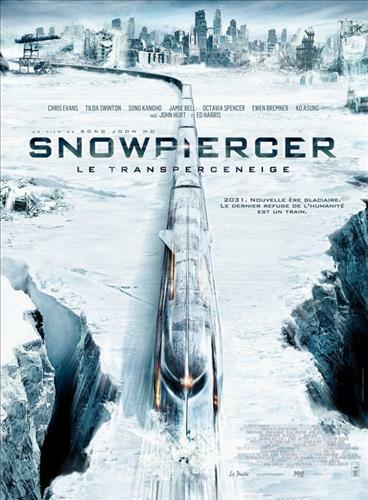 7,” “Snowpiercer” and “The Face Reader.” American blockbusters “World War Z” and “Iron Man 3” were the only foreign works to make it in the top-10 list of box office hits. Many of the Korean films that succeeded this year were above-average in quality and they also represented a broader scope of genres. However, there is also a distance between above-average and great. Aside from Snowpiercer, Bong’s Hollywood debut, and possibly “The Attorney,” the drama based on the late President Roh Moo-hyun during his days as a human rights lawyer, it’s hard to think of any Korean work released this year that will really resonate with moviegoers a few years down the road. Observers say the movie industry has been benefitting as a form of cheap, escapist entertainment amid a sluggish economy. And it appears that filmmakers are becoming more attentive to financially hit moviegoers. Efforts to include social commentary were seen everywhere, even in clumsy dramas such as Miracle No. 7, an unapologetic tearjerker about a mentally-ill father and his young daughter, was watched by 12 million moviegoers. While Cell No. 7, the biggest hit of the year, was a provider of generic, store-brand criticism of society, Snowpiercer and “New World” offered more original, discomforting experiences. Bong’s movie is a bleak story about a class system that evolves aboard a train, Snowpiercer, which travels around the nearly-dead Earth via a perpetual-motion engine. The content of the movie, which drew differing opinions from critics, provided plenty of conversational material for politicians, pundits and civic activists as they took the film as critical commentary on Korea’s increasing social inequality. New World was a stellar movie by director Park Hoon-jung, a mobster film that exposed the failures of Korea’s justice system and provided an intelligent look on how the hierarchical social culture influences the lives of individuals. New World might have been remembered as the year’s best crime thriller if not for the brilliantly-made “The Berlin File,” a spy flick directed by martial arts devotee Ryu Seung-wan. Han Suk-kyu starred as South Korean agent Jung Jin-su, who is engaged in the relentless pursuit of a North Korean agent and expert weapons-trader Pyo Jong-sung (Ha Jung-woo) with the bigger threat being political conspiracy from Pyongyang. The movie sold more than 7 million tickets after its February release. One has to wonder whether the numbers would have been better if it had been released in the winter, considering how the shocking political developments in North Korea in the past month would have influenced the build-up. “The Terror Live,” in which Ha plays a radio host pulled into a terror plot when a man threatens to blow up a Seoul bridge live on air, provided biting criticism of the media in the age of 24/7 coverage. “Hide and Seek” and “Cold Eyes” were pure dramatic triumphs, keeping audiences on the edge of their seats with the strength of the plot, pace and editing. The Attorney, “Way Back Home,” about a Korean housewife who was jailed in France for a couple of years on charges of transporting drugs, and “Jiseul,” based on the Jeju massacre of 1948, were the notable films of the year inspired by true events. It’s also notable that some of the year’s most memorable films such as New World, The Terror Live, Hide and Seek, and Cold Eyes represented cinematic debuts. Huh just needed 2.5 billion won to make Hide and Seek, which garnered more than 5 million moviegoers at theaters. The movie is driven by the tension created by a mysterious homeless person who intrudes into the house of others and is an impressive display of Huh’s talent to dramatize fear and perverted desires. Directors Joh Ui-seok and Kim Byeong-seo collaborated on Cold Eyes, which revolves around a police investigation unit that tracks criminals. The movie proceeds at a breathtaking speed and the plot just manages to hold together smart and stylish editing. Not all debuts were successful. Roh Deok’s romantic comedy, “Very Ordinary Couple,” was one of the works that impressed critics but not enough moviegoers. This also wasn’t the year for actor-turned-directors. Ha’s “Fasten Your Seatbelt” and Park Joong-hoon’s “Top Star” combined for an anonymous box-office presence despite heavy publicity. 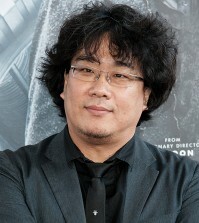 Song Kang-ho, who starred in Snowpiercer, The Face Reader and The Attorney, was the most influential actor of 2013. There wasn’t a female performer who came remotely near his presence, although Jeon’s performance in Way Back Home garnered critical acclaim. Ha, despite disappointing in his directorial debut, solidified his status as an up-and-coming actor with The Berlin File and The Terror Live.